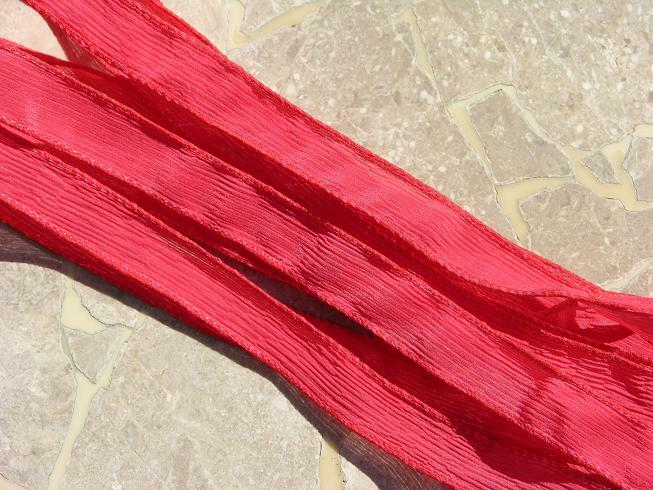 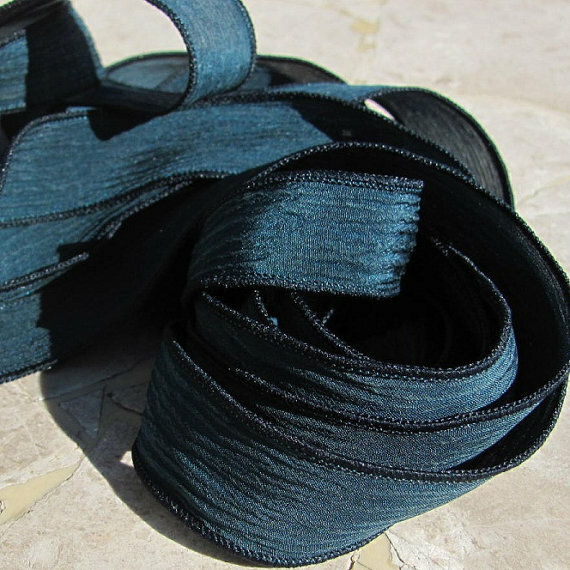 Each of these silk ribbons is hand dyed and sewn using gorgeous soft 100% silk. 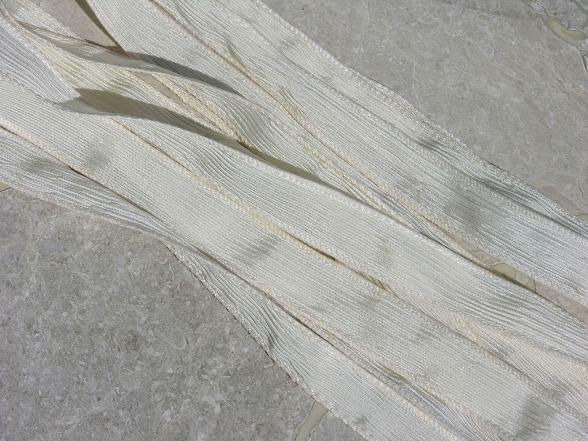 This fabric is so luxurious and it feels wonderful next to the skin. 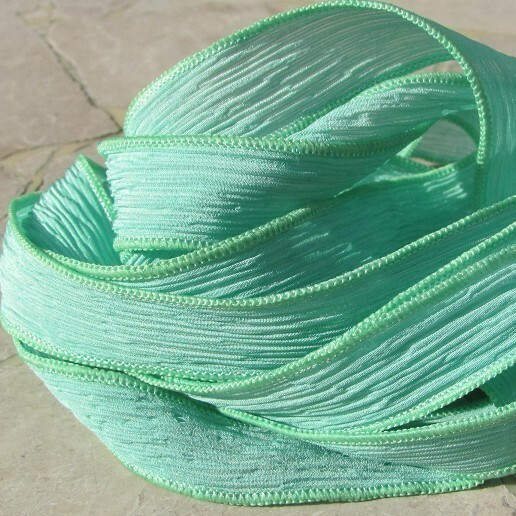 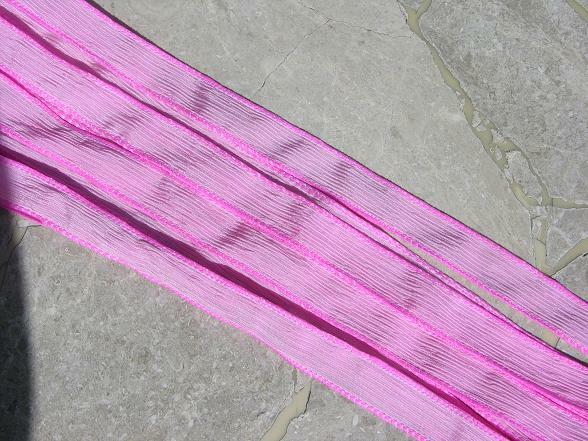 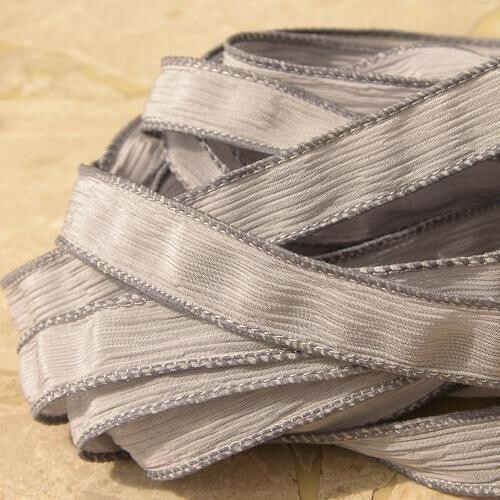 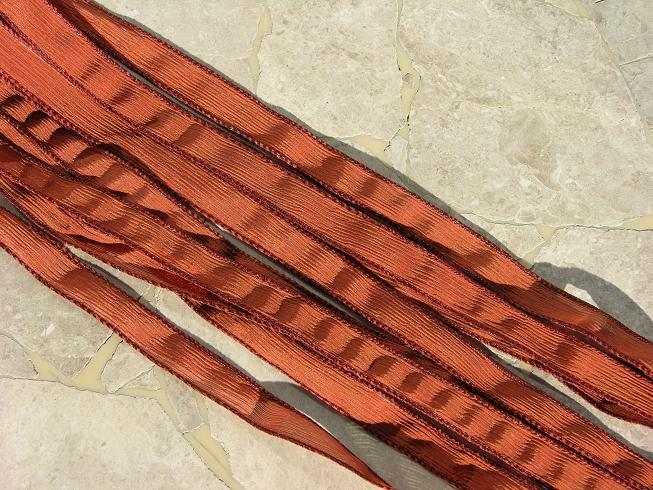 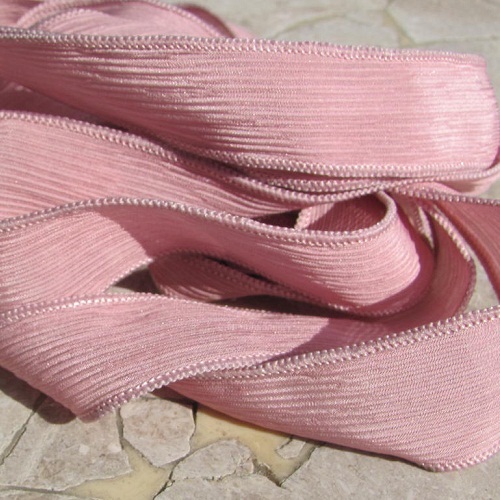 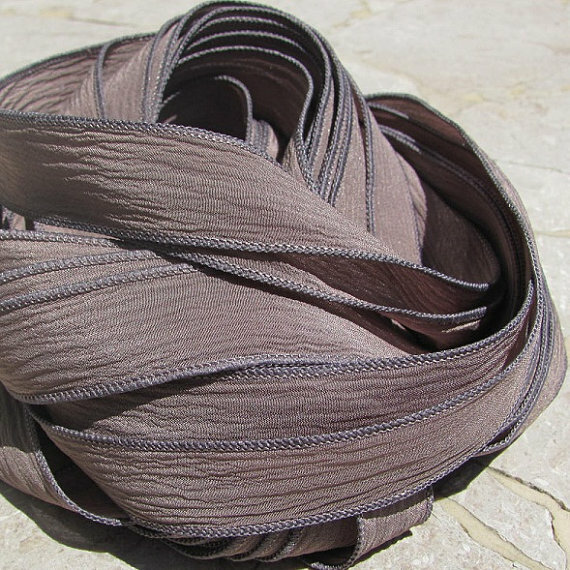 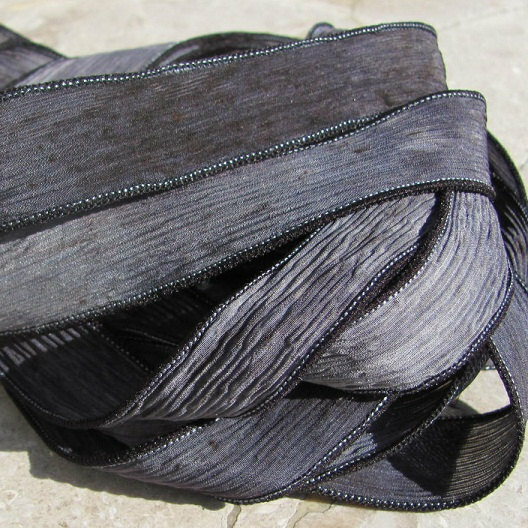 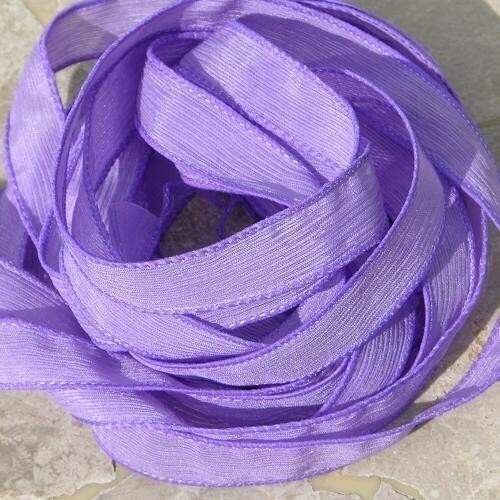 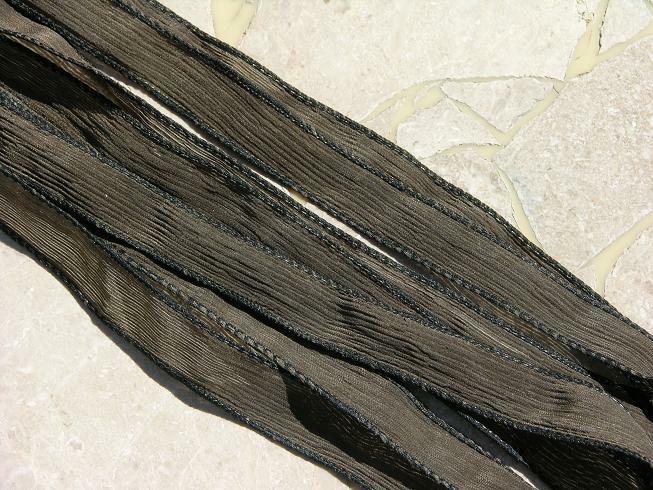 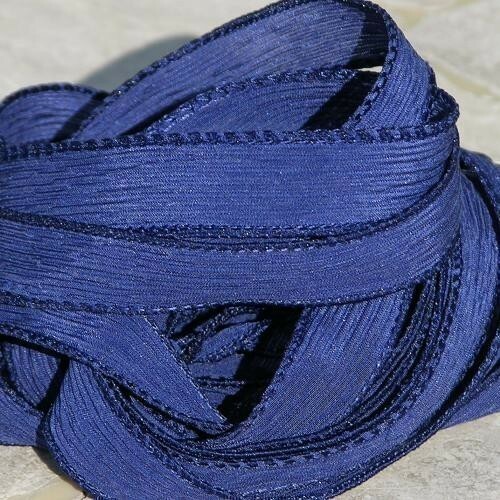 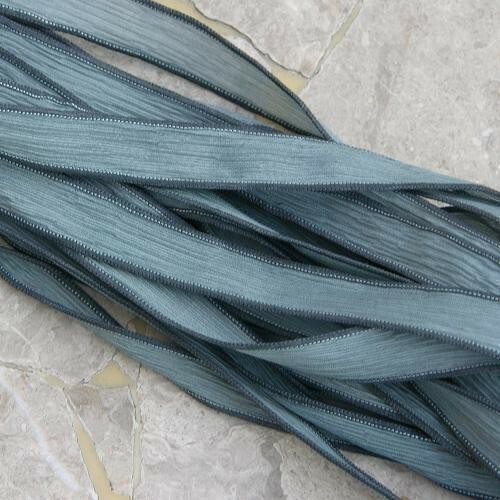 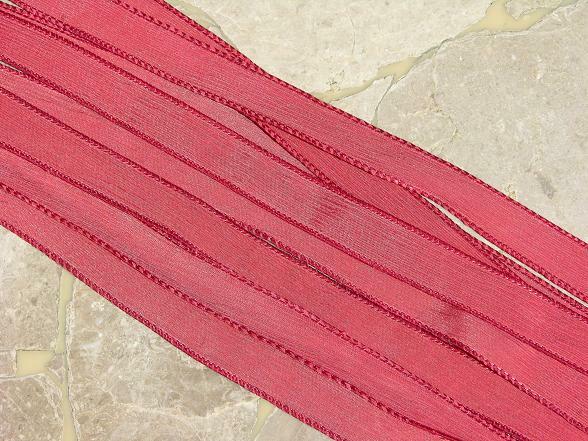 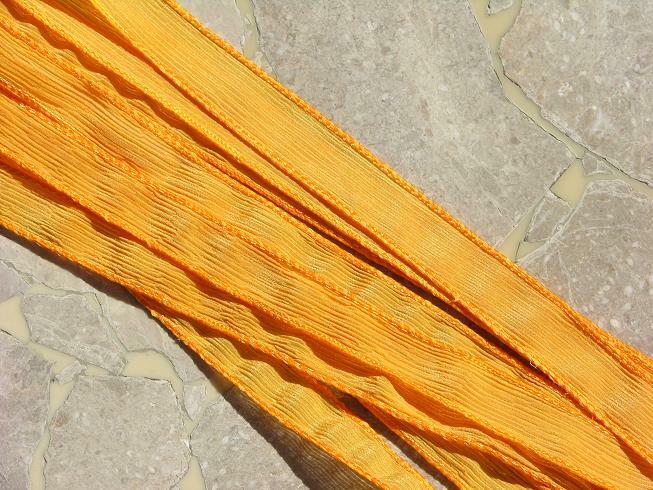 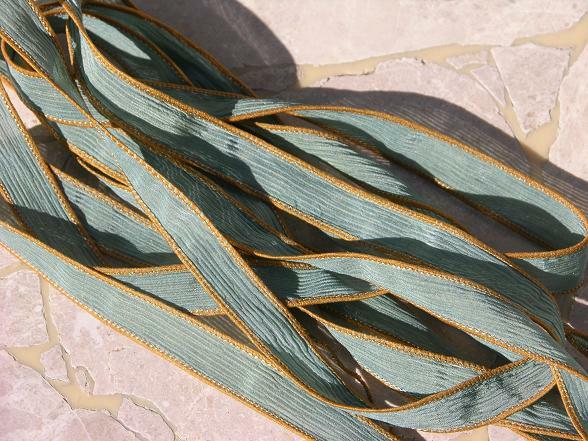 The ribbons are approximately 36-39 inches in length and 1/2 to 5/8 inch and are sewn to a point. 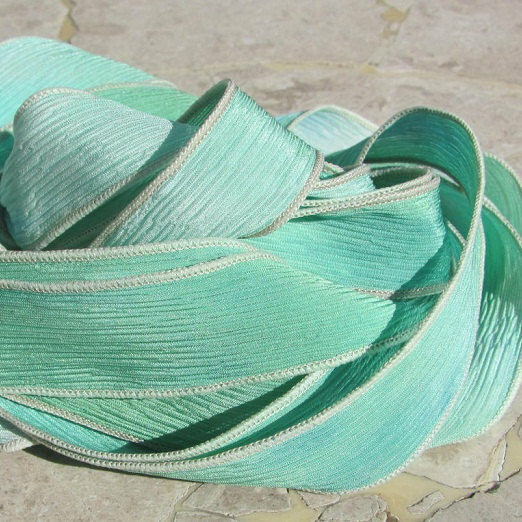 In the customer's gallery you can see what other jewelry designers have done with their silk ribbons, cords and strings. 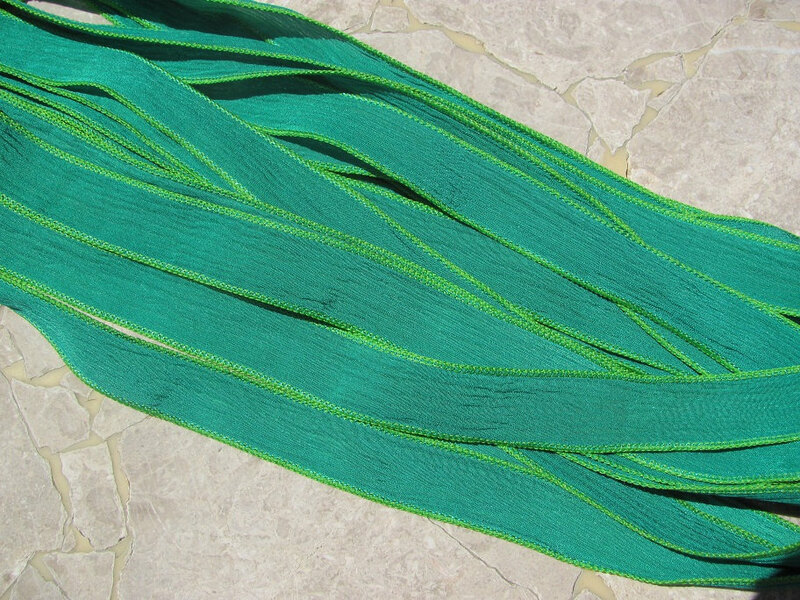 I will be adding new colors so check back. 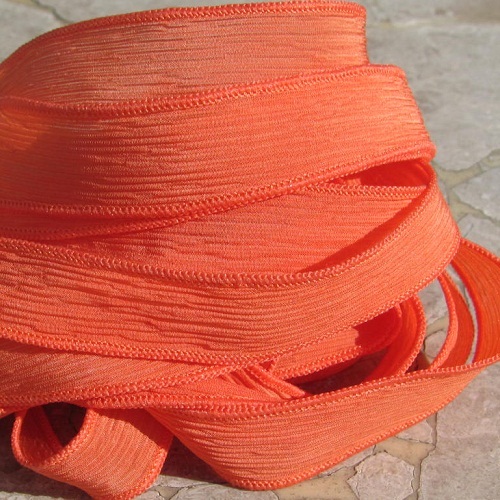 Wholesale prices are reflected in your cart if you purchase 5 or more of a color. 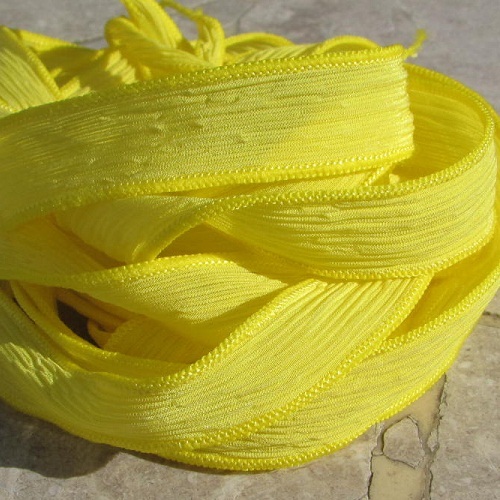 Smaller discounts are also given for smaller quantity purchases. 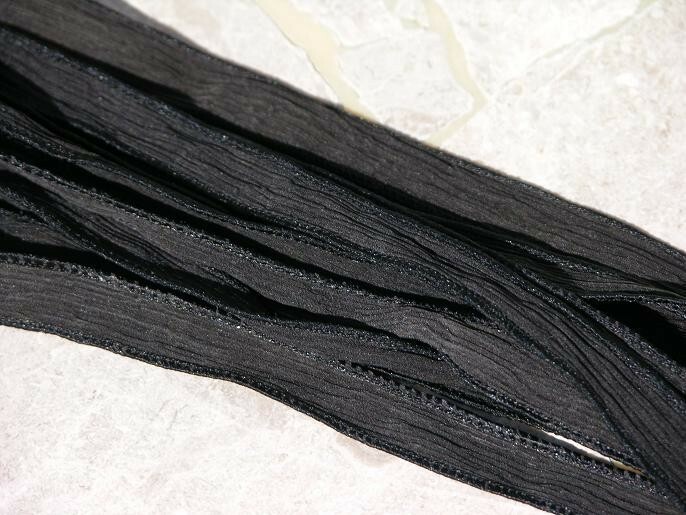 This is for the Black which is shown in the lower left of the picture.